I'm a sucker for a good picnic and I always make it a goal of mine each summer to go on at least one picnic with friends or with my mom at the beach or at a park! What's better than spending an afternoon outdoors and enjoying the sunshine, sand, and each other's company among pretty snacks and sips? 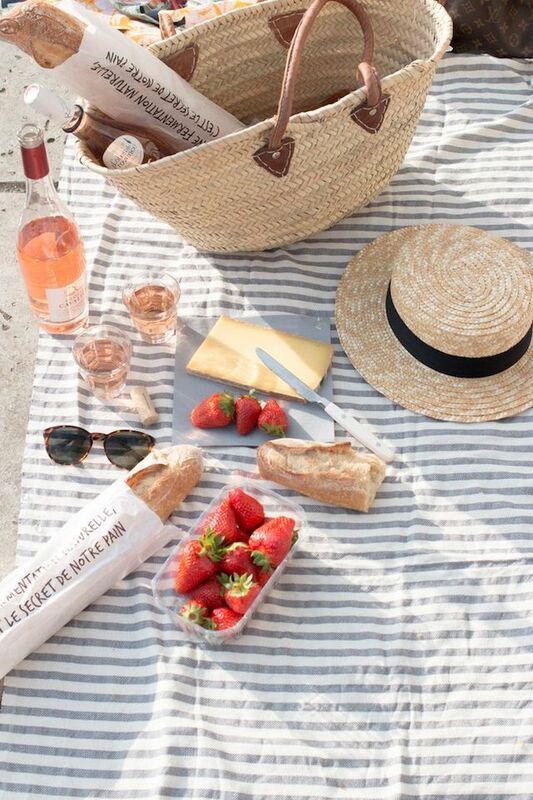 I love the whole aesthetic of picnics and truly consider them one of summer's many treasures. Read on for a full list of what to do and pack for your next picnic! Supplies // How cute is this picnic basket?! For under $40, it comes fully stocked with silverware for four, and it couldn't be cuter with it's leather strap and gingham lining. 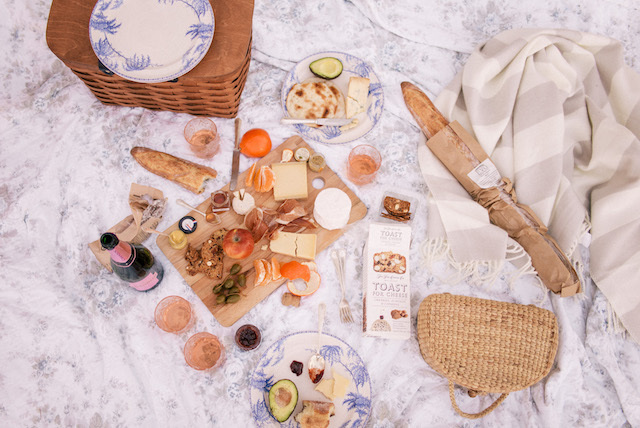 Whether you have a picnic basket like this already stocked and ready to go, or your packing up your supplies on your own, you will need a blanket to lie down, lots of napkins (how cute?! ), a few extra cups, paper plates, cute straws (duh), and I always think it's a good idea to bring hand sanitizer and disinfecting wipes... for cleanliness, and then for cleaning up anything sticky or spilt. Remember utensils as well, sunscreen, and a garbage bag! 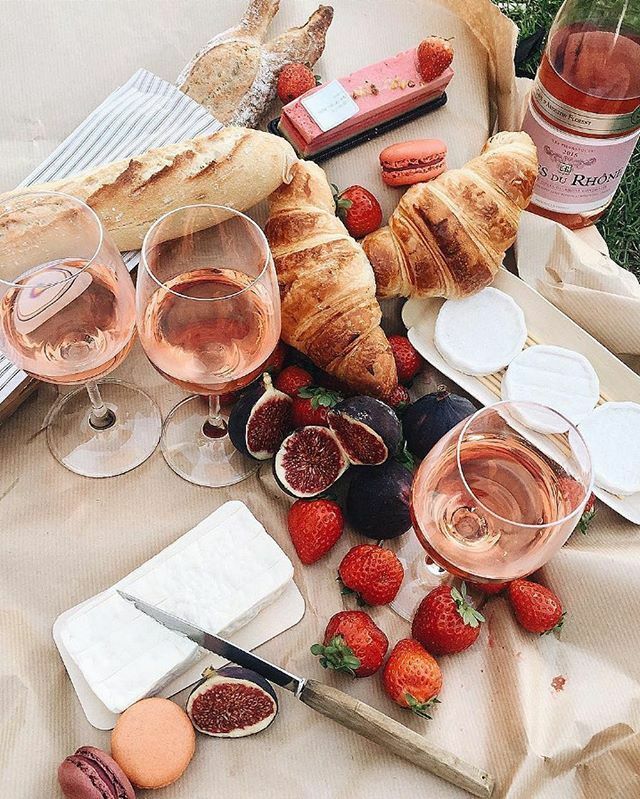 Snacks // There's no better picnic food than sandwiches, cheese and baguette or crackers, and lots of fruits! I love brie and baguette, but I am also a huge fan of goat cheese, a crispy, thin water cracker or raisin cracker, and I love camembert... Really, any cheese (French is probably best, though!) is delicious if you choose well. Just don't forget to bring along a cheese knife! I also think it's an obvious essential to bring along berries, watermelon, and any other favorite fruits in season. Do as much prep as you can (slicing, washing, etc.) before packing up to make things easier. 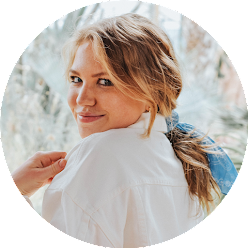 Drinks // Picnics are the perfect time to try a new fancy lemonade or sparkling beverage you might have been eyeing up at the grocery store but never had a reason to purchase... you know, like those aesthetically pleasing lemonades in glass bottles? This one is my all-time favorite, but I also love a good sparkling water. San Pellegrino plain is personally the best in my opinion, but I also love the orange flavored Perrier (lime and lemon are great, too! ), and you can never go wrong with La Croix. Pack regular water bottles too so no one gets dehydrated in the sun, and you'll always need more water than you think after spending a few hours outside. If you're feeling fancy and no one has to drive, there's the perfect excuse to get a pretty bottle of rosé-- still or sparkling! Dessert // Don't bring anything chocolate! As a chocolate lover, this is a little sad for me to say, but I promise it just never ends well. Everything chocolate just melts and turns into a sticky mess that risks staining clothes and leaving sticky fingers. Instead of chocolate, try making a tart (this recipe and this recipe both look simple and delicious) or picking up macaroons (the coconut ones! ), macarons (the fresh ones! ), or just keep it simple and enjoy fresh fruits like strawberries and watermelons for something sweet. Activities // I always think it's fun to bring a card game like Cards Against Humanity, Apples to Apples, or just a regular deck of cards if you're into that! I might steer clear of board games because there are so many pieces and cards are easier to deal with if you to go a beach and find yourself getting everything sandy. It's fun to bring a frisbee too or another outdoor game like that! What's your favorite picnic essential? Did I miss anything?